Galatasaray Odeabank Istanbul got its Eurocup Group F campaign to the winning ways with a valuable 90-94 road win at Neptunas Klaipeda on Wednesday. The visitors spent the entire second half with the lead, and even though Neptunas came within a single point twice in the final minutes, Galatasaray held on for its first win of the season. In the first half Neptunas used triples from Travis Bader and Donatas Zavackas, and a string of 8 points from Daniel Ewing to build 33-25 lead, but Galatasaray dominated inside through Joey Dorsey and Stephane Lasme, and Errick McCollum got to the free throw line often, providing the visitors with 37-38 halftime edge. Galatasaray never relinquished the lead, as Vladimir Micov and McCollum helped it pull away to a double-digit margin in the third quarter. 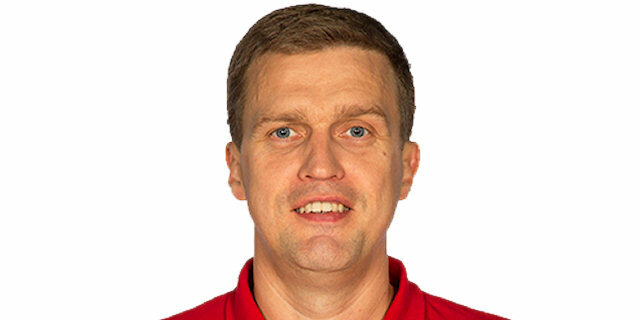 The hosts never went away, however, as Martynas Mazeika rallied them within 77-78, and Mindaugas Girdziunas made it 86-87 in the final minute. But Caleb Green's triple on the ensuing possession all but put an end to Neptunas' hopes. McCollum scored 23 of his 32 points in the second half, hitting 5 of 7 triples and 13 of 13 free throws. He also had 6 rebounds and 4 assists. Micov scored 18 points, Green had 16, while Lasme collected 11 points and 7 boards in victory. Mazeika and Bader each finished with 17 points for the hosts, Zavackas scored 15, and Girdziunas netted 11 with 6 assists for Neptunas. Galatasaray got off to a good start offensively, with Green getting couple of baskets, and McCollum hit a three for 6-11 lead. But Zavackas answered with back-to-back triples in an 8-0 run. After a three-point play from Lasme and a basket from Micov, a put back from Simas Galdikas and a three-pointer from Bader helped give the hosts 21-18 after 10 minutes. Lasme and Micov tied the game at 23-23 early in the second, but another three from Bader before a pair of jumpers and a triple from Ewing made it 33-25. However, McCollum started getting to the foul line, hitting 6 of 6, Dorsey grabbed a pair of offensive rebounds and converted them into points, before a basket from Blake Schilb in the final seconds of the quarter gave Galatasaray 37-38 halftime lead. In the second half, after Ewing and Sinan Guler traded basket, Micov strung together 9 consecutive points, including a basket-plus-foul, giving Galatasaray 41-49 margin. Girdziunas and Zavackas hit back-to-back from downtown, but a basket from Lasme and a triple from Green extended it to 49-58. Gridziunas hit another three for Neptunas, but McCollum's dagger from long range put the margin in the double-digits for the first time, 52-63. Before the end of the third period, Arvydas Siksnius scored 7 consecutive points for Neptunas, but Micov and McCollum made sure the visitors lead 59-67 after 30 minutes. Three-pointers from Bader and Zavackas closed the gap to 68-70 early in the fourth. McCollum and Dorsey scored the next six points, but Mazeika answered with 7 in a row for 77-78. After McCollum and Bader traded threes, McCollum's four-point play gave Galatasaray 80-85 with 2:19 left on the clock. Harvey Grant and Girdziunas cut the deficit to one point with 52 seconds to go, but Green's triple made it 86-90 some 15 seconds later, before Lasme and Guler sealed the deal from the foul line. "We played really well, but our competitor had more experience in the end of game. We had amazing fan support."